When you ask many people to describe something from Kemet they will often reference a tall thin structure, but not remember its name. 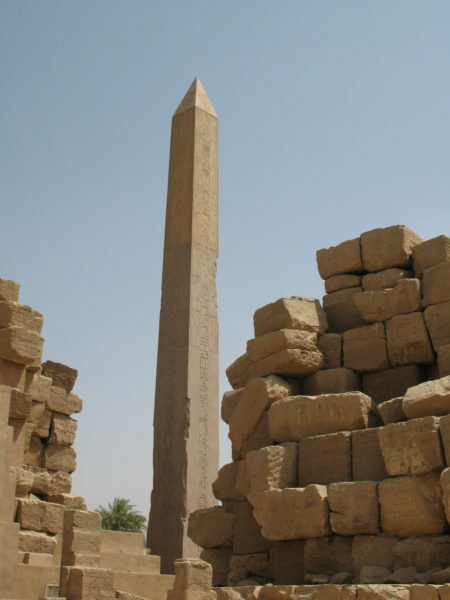 What they are referring to is what the Greek’s called an obelisk (obelisks), but its original Kemite name was tekhenu. The earliest surviving tekhenu dates to what we now call the Middle Kingdom, and bears the names of the king Sensusret Kheperkare (Senusret I, as we call him). Senusret ruled from around 1956-1911 BCE, and commissioned two tekhenu to celebrate his 30 year jubilee, or Heb Sed festival. Only one survives and it stands today in the Cairo suburb of Heliopolis. However, the form dates back much earlier to the Old Kingdom (around 2686-2181 BCE). The largest tekhenu to survive can be found at the temple now known as Karnak. These gigantic monuments date to the reigns of Thutmose (I) Aakheperenre who ruled from 1504-1492 BCE and Hatshepsut Maatkare, the female pharaoh who ruled from around 1479-1458 BCE. Those that remain at the site are a fraction of the original number. Not all tekhenu were as large as the examples at Karnak. The people of ancient Kemet actually distinguished between small and large with the appropriate adjective. Larger tekhenu were placed at the entrances to temples, often in front of the pylon (gateway). Smaller scale examples were also found at the entrance to tomb chapels, and the smallest were in the form of amulets (charms). But what did they mean? 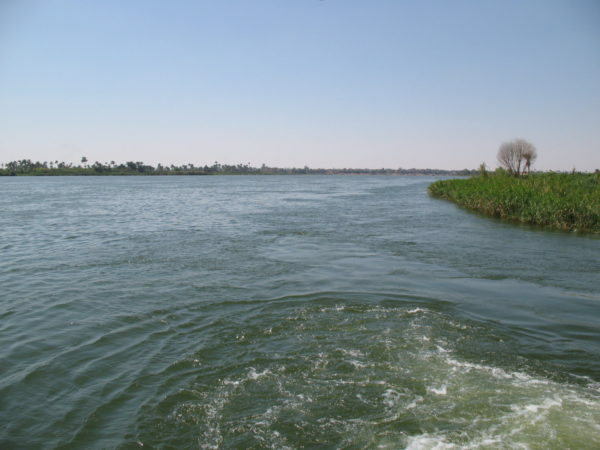 A tekhenu is related to the benben, which was the sacred mound that the people if Kemet believed rose from the primeval waters from which creation arose. The benben stone was referenced at the top of a pyramid and the tekhenu was effectively an elevated version. In essence a tekhenu lifted this sacred stone to the sun and was closely associated with the sun god Ra. It is likely that the summits of both pyramids and tekhenu were covered with precious metals. Many tekhenu that originated in Kemet were taken from their original locations. And in fact even in ancient times there are examples of kings of Kemet usurping a tekhenu by adding their own inscriptions to those of an earlier ruler. Why? Well because manufacturing a colossal tekhenu was not an easy task. In fact a failed attempt can still be seen at the Aswan quarries. 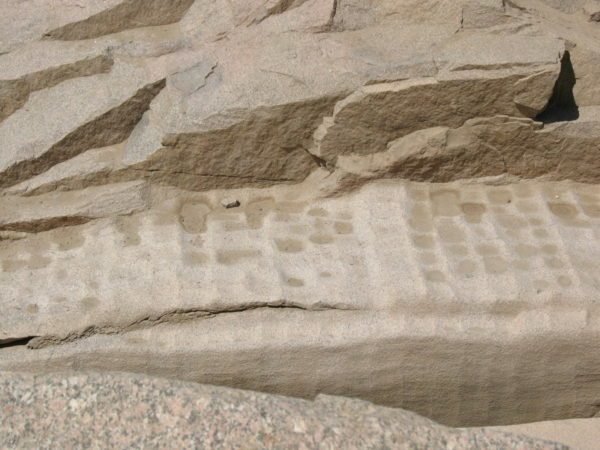 You can see from the photograph above that quarry workers would use rock to pound out the form of the items the chief stone mason would then work upon. Why go through the labour and expense of manufacturing and then transporting such a monument when you could just as easily inscribe one belonging to someone else? The Roman emperor Augustus clearly saw the value of the earlier tekhenu. He transported the example above, which dates to the reigns of Seti (I) Menmaatre (1290-1279 BCE) and Rameses (II) Usermaatre-setpenre (1279-1213 BCE) from Iunu or Heliopolis in Kemet. 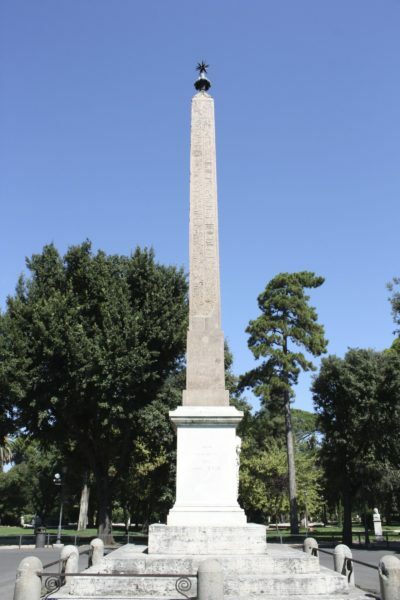 The obelisk was initially placed in the circus maximus in Rome, where events such as chariot races were held. Augustus was so enthused by the monuments that he had two small versions placed in front of his own tomb; although this and the transportation of earlier tekhenu was probably for political reasons; he had defeated Cleopatra and gained control of Egypt. A continuation of a Kemite tradition? The last example of an inscribed obelisk dates to the reign of the emperor Hadrian (117-138 CE), who commissioned a monument to honour his dead lover Antinous. Antinous had accompanied the emperor to Egypt for an official visit. Hadrian, a keen devotee of Egyptian cults reportedly hired the services of a Kemite priest to act as a guide during the trip. Part way through the expedition, Antinous drowned in the Nile; Hadrian was inconsolable and in honour of his lover built a city that he named Antinoopolis (The city of Antinous) and initiated a cult to the dead youth. 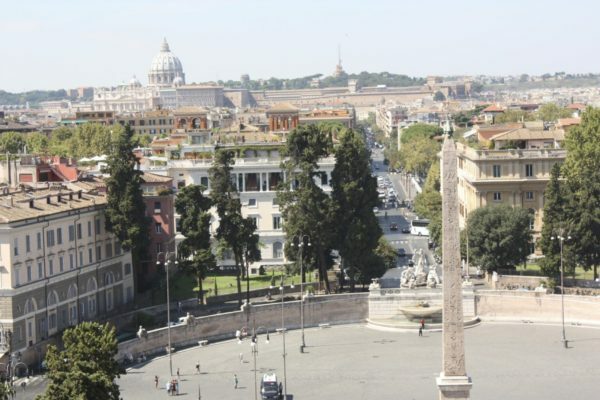 As part of that cult the obelisk was commissioned and brought to Rome. 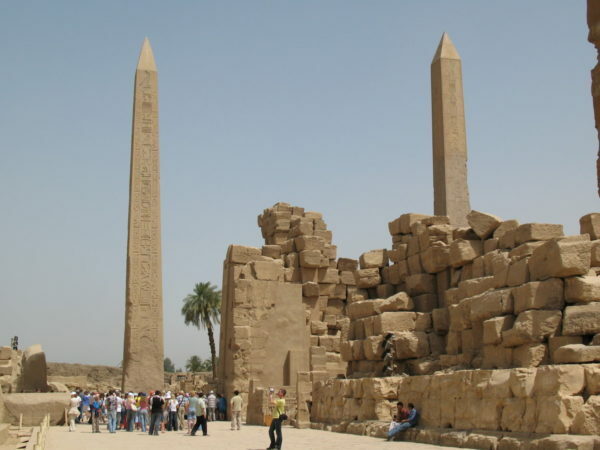 Unlike many of the Roman period obelisks that have nonsense hieroglyphs inscribed on the sides, the obelisk of Antinous must have been carved by a Kemite artist under the supervision of a Kemite priest. It shows that in spite of over 500 years when colossal tekhenu were not produced, the skills and religious traditions had not been lost in Kemet. I read that tehken is the khemetic word for pyramid a Greek word. 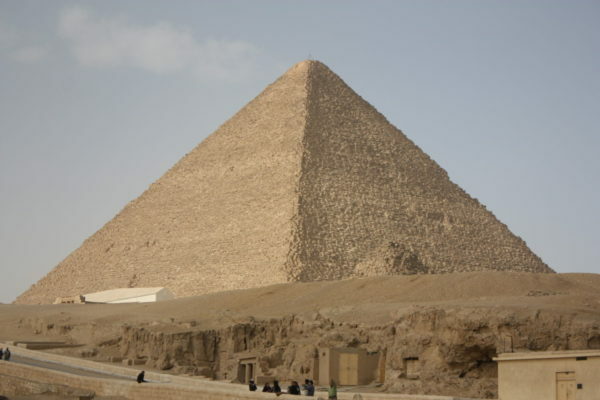 It was in a book not certain of the author but gold sheets were installed on the upper blocks of the Great Pyramid that a sultan removed to add them to a mosque in the 8th,9th, or 10th century. The word for pyramid, which as you say is Greek, is ‘Mer‘; the transliteration of this writing can mean a number of things but when it refers to what the Greeks called a pyramid it has a specific determinative at the end. Precious metals and other items of value were taken from tombs well before the Arab settlement; as evidenced through numerous tombs in the South, where people gained access in antiquity and often re-used them for later burials. There is tekhenus in my country too especially at an old British and Dutch military cemetery, also there is couple others in our pan african garden. Since Western and European civilisation has its foundations in Egypt, Ethiopia, I have concluded that these structures built by europeans is something they learnt from GrecoRoman who learnt from Africans. I feel more like they were appropriated. The Romans took them from Egypt to place as monuments in Rome and then copied the form in sanctuaries. They were the first to do so. We have them in cemeteries in the UK too. Not often but I think they were popular in the Victorian era. I had no idea that you had them in Guyana. And it’s really interesting (and fitting) that they are in the Pan African garden. Do you know when the garden was designed. That’s really interesting. Also because the Ethiopian versions are quite different to those from Kemet. Thanks so much for sharing that information. It’s great to see another Kemite symbol reaching global audiences. Thanks for referencing this Charlotte. I did briefly mention the monument in an early post because as you say it is in a prominent position on the Mall. I think technically, because it is hollow it isn’t a tekhenu. But there can be no doubt that the form was appropriated here on a grand scale. I have read about Anthony Browder’s field trips in Washington to expose hidden histories, they look fascinating. So thank you for mentioning his work. People may be interested to see his films on YouTube.